Usually I recap my year, but not his year. I am not looking back. Nope. The past several days social platforms and mainstream media have fueled the conversation regarding the Indigenous heritage of a well-known author, Joseph Boyden. I really don’t know if he has Indigenous blood or not. All you have to do is Google Joseph Boyden to read the varying opinions that have been written and discussed regarding Boyden’s claim to an Indigenous heritage. Most of my readers know that I am Densuline. I come from the shores of Lake Athabasca. I am a member of the Athabasca Chipewyan First Nation since birth. My parents were Isidore and Therese Deranger. I am very proud of my identity. The question of one's identity can be complex and many dimensional. The issue of identity begins as a personal matter. In a recent conversation with a non-Indigenous friend, he laments, why do some people want to be something other than what they were at birth? That is a good question. Identifying as Indigenous does not automatically mean you’re entitled to rights as an Indigenous person. 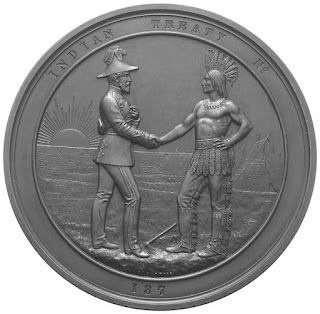 Finding an Indigenous ancestor in your family tree can give a person the right to claim some form of Indigenous identity, but the issue of identity ceases to be purely personal when something tangible is at stake, like Aboriginal or treaty rights or the right to claim a prize intended for Indigenous writers, for example. Perhaps the criteria should be more clear for these prizes. Furthermore, people applying for these should be asked for proof of their Indigenous heritage. 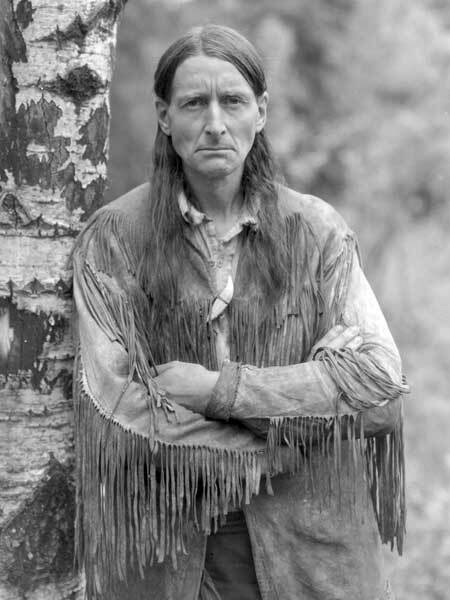 Others became Indians through the loophole of the Indian Act. The law corrected this loophole in 1985 to bring the Indian Act in line with gender equality under the Canadian Charter of Rights and Freedoms. Many Indigenous women had their Indian status rights restored. However, in my opinion it didn’t go far enough to correct the injustice of also conferring statutory Indian status rights under the Indian Act on non-Indigenous women who married a status Indian. Many of these women continue to reap the benefits of this loophole long after that relationship dissolved. A purely personal sense of identity morphs into a matter for public concern. The concern arises when Indigenous identity is an opportunity to claim benefits that rightly belong to Indigenous peoples. There is justification for these special benefits, which stem from colonization and marginalization of Indigenous peoples for hundreds of years. We have paid a great price to be afforded these benefits. They belong to our Nations and communities collectively, not to every individual who happens to have an Indigenous ancestor. No doubt, some of these people take on Indigenous identity and wear it proudly like their Sunday best; eventually they may come to believe a fabricated story of where they come from and will vehemently defend their story. Holding someone accountable to who their “real” people are does not mean we don’t appreciate and like them as a person. That is not the problem with this scenario. Joseph Boyden is not the first person to claim Indigenous identity and he won’t be the last. And, yes it bothers me. I guess I should feel some sort of gratitude towards people who claim to be Indigenous. After all they are saying, we love your culture so much so that we have embodied it and have appropriated it as our own. People, you simply can’t just do that and you should stop it! If you are one of these people come clean and embrace your own culture and identity. At the very least tell us who your people are. Magic happens for children at Christmas. After all it is all about them, right? We do what we can to help them escape into a happiness bubble at least for a brief time. Children deserve this, not to mention that it gives us adults great pleasure to see them happy on Christmas day. The making of Christmas memories will sustain them well into their adult life. I know, some of my warmest memories are of my childhood Christmases. Walking under the light of the stars to midnight mass. I loved those late light meals and opening gifts on Christmas Eve. Thank you to my late mom and dad for those special memories. That said, let’s not go overboard. Let’s teach children that Christmas is just another day and those things we do - buying gifts, receiving gifts and enjoying a sit down dinner with family and friends - should happen more often than just at Christmas. Let’s teach them that it is about giving and not only about receiving. Let’s teach them that it is about relationships with others and making others feel special. I appreciate the sense of community that comes with Christmas. Like for example, the merriment, Christmas tunes and visiting with friends and family. It is about the lights, so many lights, and all those glittering decorations. If you live in Edmonton, then you must take a stroll down Candy Cane Lane. 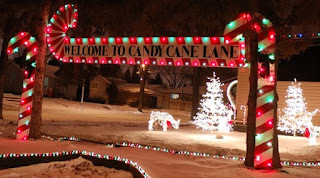 The most spectacular Christmas lights won't disappoint. It is a celebration that spans all of December. However, I am very cognizant of how this season also places unbearable pressure on people who are estranged from family and for those people who live in abject poverty. Christmas season for them can be very challenging indeed. They are under enormous societal pressure. Wouldn’t it be amazing if we could pass on that generosity and sense of celebration we feel to those who are less fortunate? I don’t mean only donating to charity but helping someone you know personally who needs it. Pay them a visit, buy them coffee, give a hug, but most of all let them know that their life is worth it. It is the small gestures that could make a difference to someone. Reading stories from residential school survivors made me feel uncomfortable about my own story. The survivors’ stories are heartbreaking and filled with unbearable pain and sorrow. I have also been following stories on Charles Camsell Hospital in Edmonton, Alberta, and these too made me uncomfortable. On October 4th a documentary film on the Hospital screened in Edmonton. Again, the shocking treatment of Indigenous people who were admitted to the Indian hospital, sometimes for years, is equally horrific. These stories must be told and they must be heard. It is an important Canadian historical legacy. Furthermore, both the telling and the listening to these stories are critical for the truth and reconciliation process. So why am I feeling uncomfortable? Because my personal experience was very unalike most of the stories I’ve heard or read about. My story was never told because I feel it is not something that people want to hear. Recently I posted a residential school picture on facebook. It portrayed a celebration of sorts; I was sitting with three of my brothers at the dinning room table with other children. Three nuns were standing in the background. 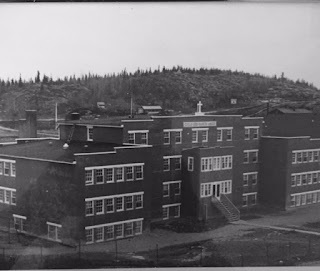 Someone posted in the comments, “ID like to kill them nuns and burn that place down.” This is not someone who went here or any other residential school. This person never asked me about my experience, he just assumed it was bad. How do we heal when there is so much anger from people who didn’t experience residential school or are not willing to listen to all the stories? It is interesting that even in the same family, experiences of accounts can be vastly different. This is certainly the case in my own family. I am one of the youngest of 16 children. We were raised in abject poverty. We had no running water or electricity. Although the hamlet where we lived was a “dry” town, meaning that alcohol was not allowed, this didn’t mean it didn’t exist there. In fact, there was alcohol in our home because my parents were bootleggers. They made and sold home-brew and shipped in liquor by plane, this to supplement their income from trapping and seasonal work in order to feed the lot of us. As a child I witnessed violence in my home due to alcohol abuse. To complicate matters, when I was a toddler, I was stricken with a serious illness and I almost died. I was sent to Charles Camsell Hospital frequently. 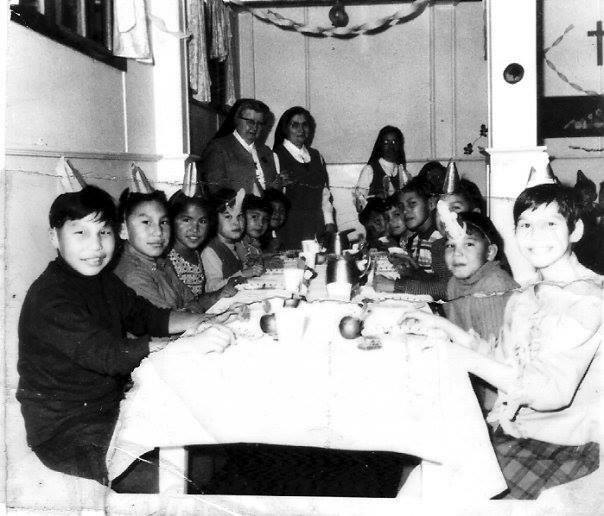 Many Indigenous people from the area where I grew up also lived in poverty, and were sent to Holy Angels Residence. Some of them also were admitted to Charles Camsell Hospital, like me. I am hesitant to tell my story because I know some people would dismiss it on the basis that I am so colonized that I am not even aware of how colonized I am. Or because I am brainwashed. In any event how can I say, after all the horrific stories about Indian Residential Schools, by the way, I don't think it was so bad,in my experience. It sounds callous and empty. My experience in residential school from the first day was a good experience. There, I said it! I will always remember the afternoon my older sister Dora said, “Do you want to go to school?” I said, “Yes,” with a big smile. “Ok,” she said, “Go get into your snowsuit.” We walked to residential school. It was getting dark and the snow sparkled like diamonds. It was in December, and I had just returned from Charles Camsell Hospital, having missed the first part of the school year. I wasn’t scared because my sister was a cook at the Holy Angels - I was excited! I took quickly to learning and only spent one week in grade one before I was moved into grade two. I particularly loved reading and spent many hours in the study hall. I didn’t mind work, like polishing the hardwood floors and the wooden banisters, because I was used to doing housework at home. In a large family like ours we all had to pitch in to help. I also learned beading, embroidery and how to darn socks and mitts. There was also playtime. The older girls never picked on me. Once a week we had movie night. Because we lived in town we got to go home for the weekend and when we returned Sunday afternoon, that evening we would watch a movie. All the other boys and girls came to our room to watch the movie. Occasionally we played bingo. I remember going camping too; we were allowed to run into the hills for hours until we were called for dinner. A number of the priest spoke Denesuline (Chipewyan) and Cree. Also, Sister Brady, a Metis nun spoke Cree. We sometimes laughed behind their backs at how they sounded when they spoke our language. It must be said here that neither the nuns nor the priests ever mistreated me, physically or emotionally. In fact, I corresponded regularly with one of the priests until his death in 2003. He even visited my home in Ottawa several times and met my husband and son. Indeed, I still have many fond memories of being at Holy Angel Residence. That said, I also remember fights between girls in the schoolyard. I remember students running away and being brought back in tears. I remember that one time an older girl slugged a nun. I remember whispers about a certain “brother” who would fix bikes for the boys. So yeah, for sure there were critical concerns during my time at Holy Angels. Like I mentioned earlier I split my time between Holy Angels and Charles Camsell Hospital. I always looked forward to going to the hospital, the pain from numerous operations notwithstanding. I would find money in my folded clothes on the bed, left by Sister Nadeau for canteen treats while I was at the hospital. I didn’t worry about falling behind in my studies because I attended classes there. I was in the hospital so often I developed personal relationships with the nurses and doctors, which I maintained through correspondence when I was back at Holy Angels. I was encouraged to have pen pals and the nuns took my letters to be posted in town. Indeed my story is different, maybe it was because the era was the late sixties and seventies, and times and attitudes were changing. I don’t know why my experience was different, was I the only one with these good memories? The story of residential schools is a challenging and complicated one. We don't serve the truth if we don’t tell the whole truth, and reconciliation can't be based on half-truths. My story doesn’t take anything from those students who suffered abuse, or who died to be placed in unmarked graves. The fact that I was lucky to meet people who were caring does not contradict the truth of those who were abusive, or the misguided policy that sought to kill the Indian in Indian children. Even with the extended times away from my family, I never forgot who I was. I never forgot my first language, Denesuline. I never forgot the smell of drying pelts, drying meat, and the taste of caribou. I never forgot our songs, our culture, and my ancestors. I never blamed anyone for anything that happened to me as a child. And, I am most proud of the fact that alcohol or drugs never became a narrative in my story. I am proud to be breaking the cycle of destruction. How you tell your story, how you interpret these past events becomes you. The more you tell your story the more you strengthen that image of yourself. Your story IS you. I don’t want to, and I shouldn't have to, feel shame because my story is different. 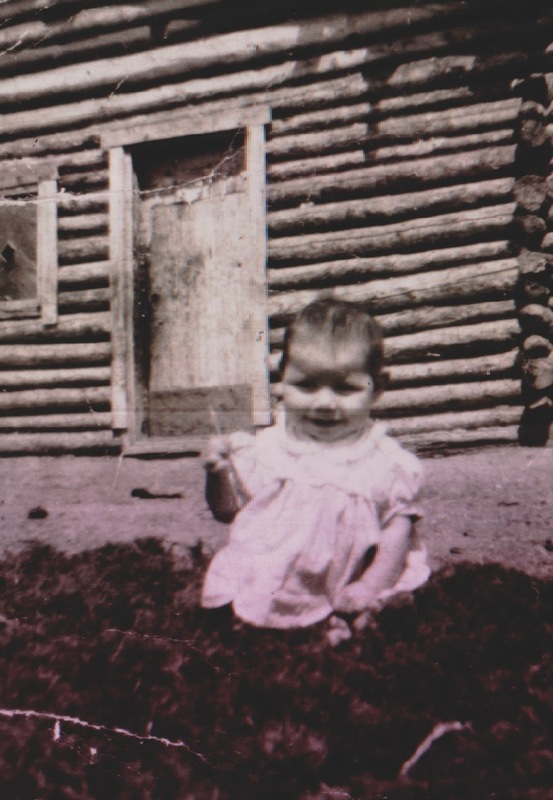 I may be a product of residential school, but I am not a "survivor"of residential school. Harold Johnson, a self-declared, former drunk Indian, is the author of this book. In spite of his struggles with alcohol he achieved a standard of notable worthiness, as a lawyer and writer, a Harvard educated one at that. Firewater is a very insightful and entertaining book. I highly recommend EVERYONE read it, whether you drink alcohol or not, whether you’re Indigenous or not. Read it all the way to the end! There are nuggets of wisdom in this book for everyone! Yes, this has been the subject of books before but I promise you Johnson brings a fresh perspective to this topic. For example he writes that Treaty No. 6 signed in 1876 included a provision to disallow intoxicating liquor to be introduced or sold to the Indians. I don’t know how many times over the years I’ve read that particular Treaty and yet I never paid attention to that section. It appears that Treaty No. 6 was breached as soon as it was signed, and nobody noticed! I was also surprised to learn that The Royal Commission of Aboriginal Peoples Report (RCAP) 1996 only dedicated less than 8 pages to the subject of alcoholism. Their report was 4,000 pages long! Clearly they didn’t want to look too closely at this topic. Johnson writes that first and foremost a call for ACTION…begins with an honest conversation about alcohol. He is not talking about addictions - he is talking about alcohol. Hence, the book’s title Firewater. I imagine some of you might be thinking but they are the same thing, right? No, Johnson makes a clear distinction that they are not. He doesn’t beat around the bush either, but instead addresses his topic directly with such intensity that it can’t be ignored. The stories he describes in his book are tough, brutal, and powerfully illustrated. The stories will touch you deeply and make you cry (at least they made me cry). He states unequivocally, “None of this is easy to write, to speak of. We want to hide it away.” Indeed, many of us continue to turn a blind eye to this problem as we watch our relatives being led to jail or tearfully bury others whose lives end up in a too early and tragic death. He also draws a convincing correlation between alcohol and its financial impact on society. I am sure you’ve heard statistics regarding alcohol and the impact it has on Indigenous people. But Johnson shocks you with statistics. He states that alcohol not only impacts the individual, but its impact is far more reaching than we have considered. Furthermore, he skillfully steers the reader through a logical sequence of traditional storytelling, which allows for the possibility of creating a new story about alcohol. 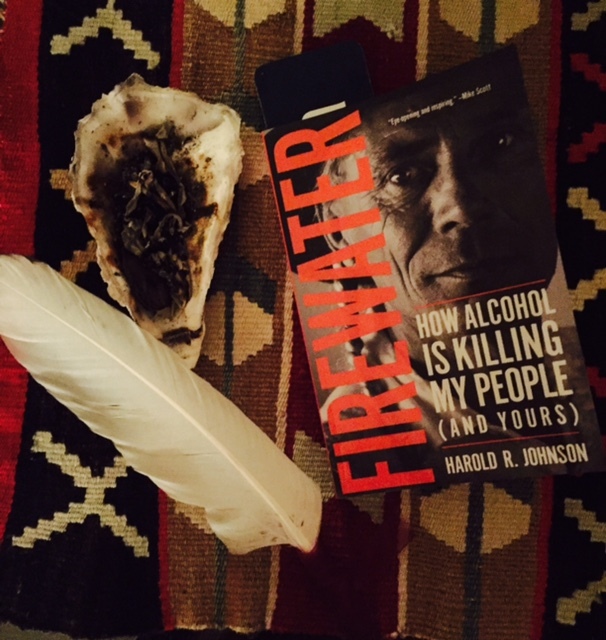 About changing the ‘drunken Indian’ story… a story that is killing us. 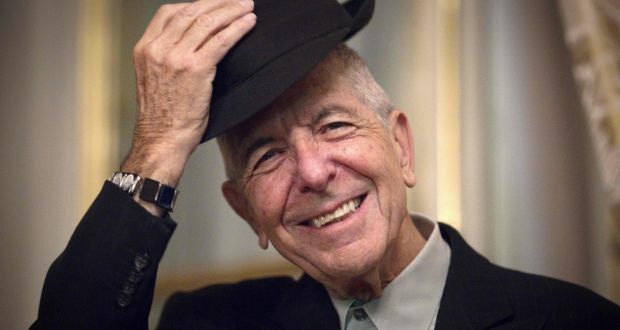 He writes, “We can think about those of us who walk in a sober way, people who create their own paths and have freed their minds from the alcohol story.” He goes further and makes strong recommendations on moving forward for the communities and the individual on how to change this story. Community leaders, grandparents and parents, aunts and uncles, brothers and sisters, the conversation on alcohol has shifted. It is not the same recycled ‘drunken Indian story’ – but a different one - one which will serve us properly.